Le système de réservation est présentement en panne. Veuillez réessayer plus tard. Unfortunately, this vehicle is already reserved. Continue searching! We’re sure you will find that one-in-a-million car you’ve always wanted. Our online reservation system is only available for vehicles that are ready to be sold. The vehicle %vehicle.Make% %vehicle.Model% (%vehicle.Stock%) is currently being inspected. Please come back in the next few days to see if it is ready. You can also contact us at 1 855 981-3727 for more information. The validation code specified is not valid . The cell phone field is required. The First Name, Last Name, Email, Postal Code and Cellphone fields are required. The cell phone number is invalid. Please select a date for an appointment. You already have a reservation! Unfortunately, you cannot reserve two vehicles at the same time. If you want to make changes to your current reservation, please contact us. Online reservations are only available within a %maxDistanceKm% kilometre radius. The %vehicle.Make% %vehicle.Model% (%vehicle.Stock%) is outside your sector. If you are still interested in reserving it, please contact your closest HGregoire superstore. The %vehicle.Make% %vehicle.Model% (# Stock %vehicle.Stock%) is now reserved under your name. %store.city% dealership on %reservation.date% at %reservation.time%. * A confirmation code will be sent to you via text message. Reserve your vehicle totally free of charge. Within the next few minutes, you will receive a confirmation number by text on your cell phone. Please enter the number in the space below so that we can officially reserve the Toyota Yaris (12019032) for you. I authorize HGregoire Infiniti Laval to obtain a copy of my credit report. You will always get a fair price. 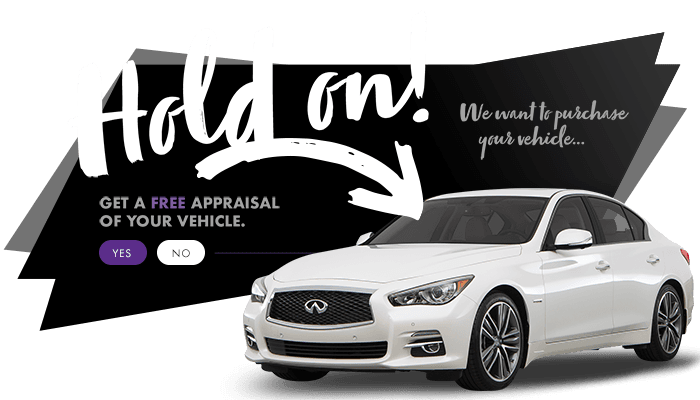 Sell your vehicle without having to buy. 2003-2019 © HGregoire All rights reserved. Fill-up this form to get the best price for this make. I authorize HGregoire Infiniti Laval to contact me about my request.